We grant you the weather just now is more summery than autumnal, but look around. Deepening reds and golds among the treetops? Check. Juicy new season’s apples and pears in store? Check. Lightly crisp weekend mornings, just perfect for a plate of sour pumpkin hotcakes with honeyed salsa verde? Now we’ve got your attention, right? Read on for a taste of the new season. Glen Ewin Estate is no stranger to showcasing our finest horticultural produce, especially that quintessentially autumn fruit, the fig. 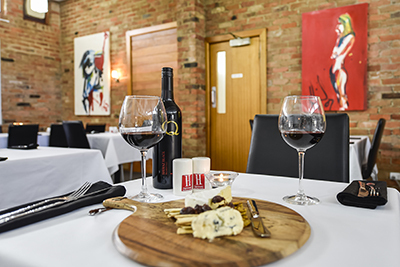 Sample their finest at the Estate’s bistro and cellar door. Planning a trip through the South East these school holidays? 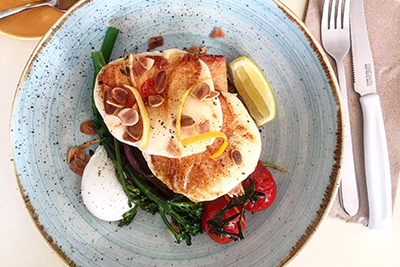 Take the family to the Highlander Restaurant and Bar at the William MacIntosh Motor Lodge to sample their tasty menu featuring local producers including Bread Project, The Splendid Egg, Limestone Coast Cheese and more. The kitchen at Pane e Latte takes its inspiration from a town called Gioia del Colle in southern Italy, which translates into a feast of dishes inspired by chef Matteo Giordano’s childhood food memories and a menu bursting with texture and colour. Those Italian supremos from the kitchen at Rigoni’s are taking over the kitchen at the Prancing Pony Brewery on 16 June to present an Italian feast with a Prohibition dress code, a five course dinner matched to the Pony’s beers, live music and a few surprises. Book here. The winners have been announced in the Gourmet Traveller Wine Australia’s Best Cellar Door Awards. Take a bow, D’Arenberg (Star Cellar Door, McLaren Vale), Hentley Farm (Star Cellar Door, Barossa), O’Leary Walker (Best Tasting Experience, Clare Valley), Skillogalee (Cellar Door with Best Food, Clare Valley), Taste Eden Valley (Best Tasting Experience, Eden Valley), Hutton Vale Farm (Best Additional Experience – Barossa Camino), Dudley Wines (Star Cellar Door, Kangaroo Island), Kangaroo Island Distillery (Best Additional Experience – Spirit Tasting), Lake Breeze (Best Large Cellar Door and Cellar Door with Best Food), Angas Plains Wines, (Best Small Cellar Door, Langhorne Creek), Bremerton Wines (Best Tasting Experience, Langhorne Creek), and The Winehouse (Best Additional Experience, Langhorne Creek – Meechi Brewing Company). All proud participants in Eat Local SA – go, you good things! 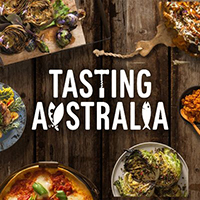 Have you checked out the program for Tasting Australia yet? 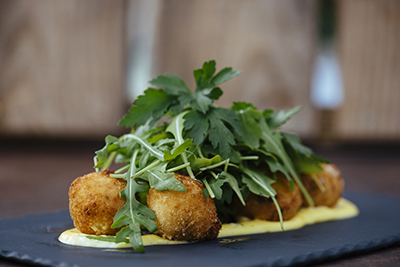 Lots of our favourite Eat Local SA venues are doing lots of delicious things! Some events are already sold out so don’t delay. From a cosy dinner with Maggie Beer and the Lehmann family in the Barossa to Coopers and Crabs at Coopers Alehouse Wallaroo, gin tastings, classes.. check the full program here and watch our Facebook page for details of Eat Local SA venue events. As someone who has chosen to be part of the Eat Local SA family, we know you understand there’s more to what you choose to eat than what’s visible on the outside. Which is why, this month, we’re encouraging you to keep supporting local producers who have been hit hard in recent times by Mother Nature. New season apples and pears are a classic example of why your dedication to supporting local really matters. Last week the Apple and Pear Growers Association of South Australia launched their Hailstone Heroes campaign. It’s a timely reminder of the havoc caused by severe storms through the Adelaide Hills last October, when around a quarter of the crop was destroyed in a single night. 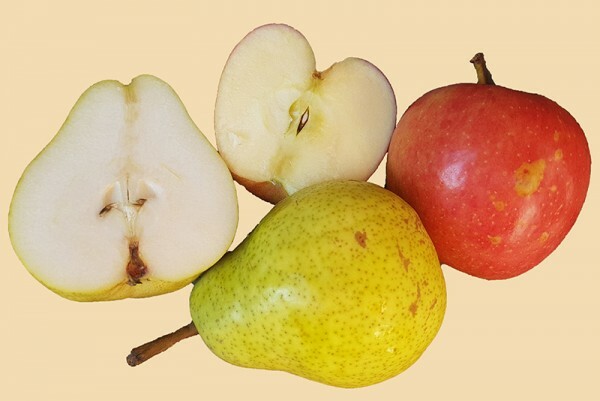 We’ve mentioned above that the new season apples and pears are just coming into stores now. Look out for produce packaged or promoted as Hailstone Heroes –these are the pears and apples that survived that storm, and they deserve to be top of your shopping list this autumn. They might have a few marks on the outside, but on the inside they are their usual beautiful selves, juicy and sweet and ready to be enjoyed. Every single one you buy will help to ease the overwhelming losses our Adelaide Hills producers are facing from that storm. Look for them in Coles, Foodland, ALDI, IGA and selected independent grocers. Woolworth are selling loose fruit in the Odd Bunch range. Eat Local SA is all about recognising the venues and businesses who make the decision to go that extra step to support South Australian food and beverage producers. Frankly, regardless of whether it’s a local café, a ritzy restaurant, or a B&B who take an extra-thoughtful approach to your brekkie basket, we think these businesses are pretty terrific. It isn’t easy sometimes, and often it’s not the cheapest option to stick to the Eat Local philosophy. Because you choose to make that same decision as a consumer, we think you’re pretty special too, and we’d like to say thank you for your support of these businesses and producers, and your support of Eat Local SA. Maybe it’s time to celebrate that philosophy in a truly autumnal style. Apple and pear crumble, anyone?